The girls, now in their forties, have a lifetime of memories in common, some evocative of their generation and some that will resonate with any woman who has ever had a friend. 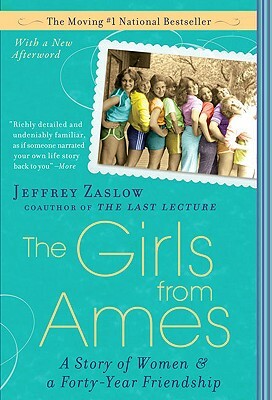 The Girls from Ames demonstrates how close female relationships can shape every aspect of women's lives-their sense of themselves, their choice of men, their need for validation, their relationships with their mothers, their dreams for their daughters-and reveals how such friendships thrive, rewarding those who have committed to them. With both universal events and deeply personal moments, it's a book that every woman will relate to and be inspired by.